You’ve probably heard about how you should create “SMART” goals — specific, measurable, attainable, relevant, and time-bound. Before doing everything I outlined in this post, I did decide on my focus for 2017 – visibility. But, that’s not specific or measurable, which is part of what I needed to work on. Specific: ‘Visibility’ is not specific. How do I determine if I reached my goal of visibility, based on that? I would have to determine my success (or failure) just based on gut feeling. Measurable: This is similar to being specific. I can’t measure ‘visibility’ on its own. I need to put some numbers in this goal. Attainable: Am I going to go crazy trying to reach this goal? Will I get burnt out? That would be determined by the numbers that I sent in the ‘measurable’ section. help me reach my target audience. Time-bound: Going back to the numbers – one of those numbers needs to be an end date. For me, it’s the end of 2017! I will also have more specific, monthly goals. As I was talking with different people, my friend, Reina, told me that she recommends “dreamers” and “doers” team up to brainstorm and help each other. The dreamer can help guide the doer into thinking larger, while the doer can help the dreamer break their big ideas down into action steps. I talked to two of my business friends that are great at brainstorming, and we set up a few Skype calls to do some planning. These calls were really helpful because the ladies gave me a fresh perspective on my own business and services. We all have completely different businesses, and run around in different circles, which again, helps with a different perspective! of you, and that you can openly share your likes, dislikes, and goals with. Part of why I struggled with setting 2017 goals, is that I felt like I was already doing #allofthethings. I already blog weekly, have a YouTube channel, created a podcast, and run a Facebook group. Between doing all of these things, and balancing client work, I didn’t want to add more projects to my plate. But, then I realized increasing visibility would be my best goal! Through my brainstorming sessions, I decided to focus on three types of design projects. I’ll still offer all of my same services, but my content will be focused on these three services. Any collaborations or workshops that I do, should also be driving people to these three services. As a designer, there are many things that I can do for my clients – so how do I choose what to focus on? I looked at what projects I enjoyed most in the last year, and also, what had the highest profit margin. The projects I’m focusing on are truly ones that I enjoy the most, as that personally matters to me more than the money. Focusing on three services (or products) could really work for any business owner, especially those who want to increase their authority in one particular area. You can always shift your focus mid-year, if you find yourself tired of a particular service, or you come up with a new idea! I determined my focus for 2017 was visibility, but it wasn’t specific or measurable. So, I needed to take this big goal, and turn it into specific action steps. But, as with any decision in business, I needed to make sure it fit with my brand, and my schedule. First, I decided that I wanted to be featured 35 times across different blogs and podcasts. I hired a PR assistant that would help me find the best blogs and podcasts to be on, based on my audience, my brand, and my goals. Then, I decided to do a quarterly collaboration, and a quarterly workshop. I chose quarterly, instead of monthly, because it seemed more manageable with my schedule. I’ll also be taking a bit of a “90-Day Year” approach, and will focus my content (including workshops) each quarter. This is the most important step of all – taking action. Goals and ideas are great, but they mean nothing if you don’t act on them. I can’t set a goal on being more visible, and then not put myself out there more. Create a spreadsheet, so you can start planning. For example, if I wanted to do a workshop in May, I would break down the necessary tasks by week. Create landing pages, write blogs, schedule tweets, send emails, etc. 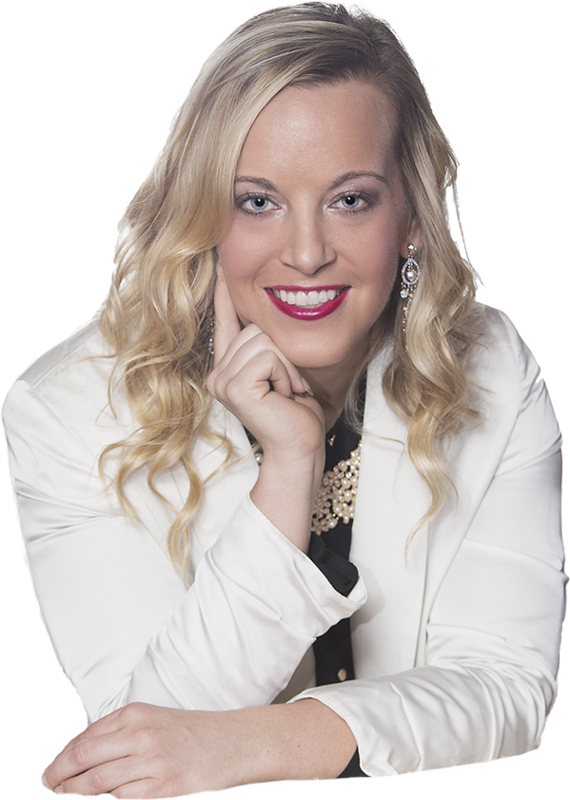 Jessica Freeman is an award-winning graphic and web designer, helping service-based entrepreneurs create a brand that shines through every level of their business. Outside of designing, she also loves producing for her YouTube channel and podcast. Jess lives in Atlanta, GA with her husband, Aaron.